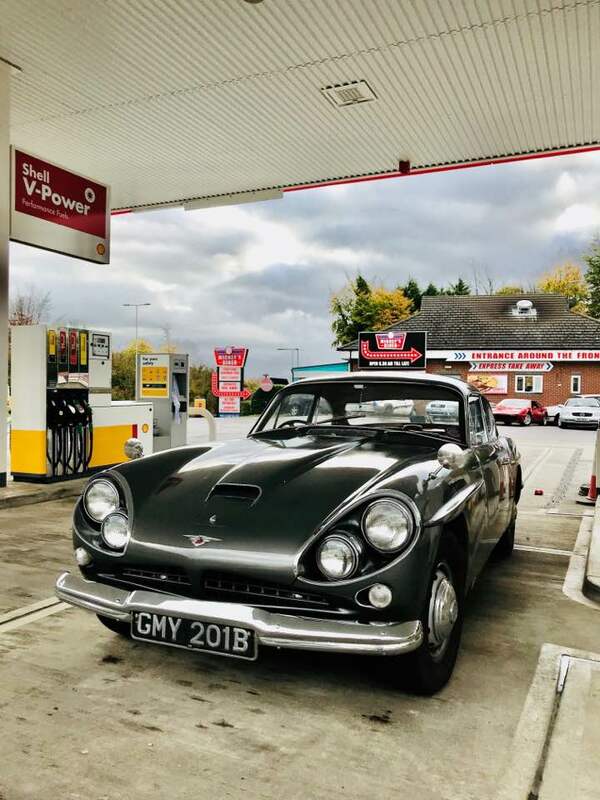 This site has been put together to form a record and serve as a resource for the restoration of a Jensen C-V8. Right now the car is on the road and being used and we are preparing for the restoration. 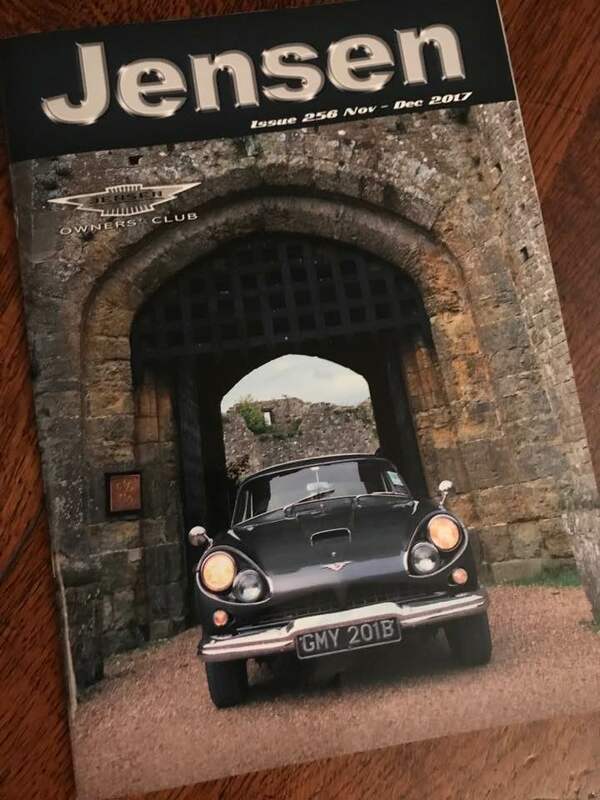 I am also restoring a 1965 Triumph TR4A (Click here to visit my Triumph TR4A site) and when that is finished the Jensen C-V8 restoration will start. I expect the restoration to begin October 2015. Video was taken on a local shopping trip in 2011. The quality is dreadful but please check out the VIDEO DIARY to see how the project is progressing! This site will have extensive photographic documentation of the strip down, all of the parts, how it all fits together and lots more. Being forensic when stripping a car down has served me well with the TR4A and has become standard practice. It takes time to do but saves many hours when the rebuild starts. In addition to the photographic record, there will pdf downloads of all of the manuals I find and literature free for you to download. There will also be a historical section that covers advertising, TV, Film and anything else I can find. This site will grow on a daily basis so please visit as often as you can. 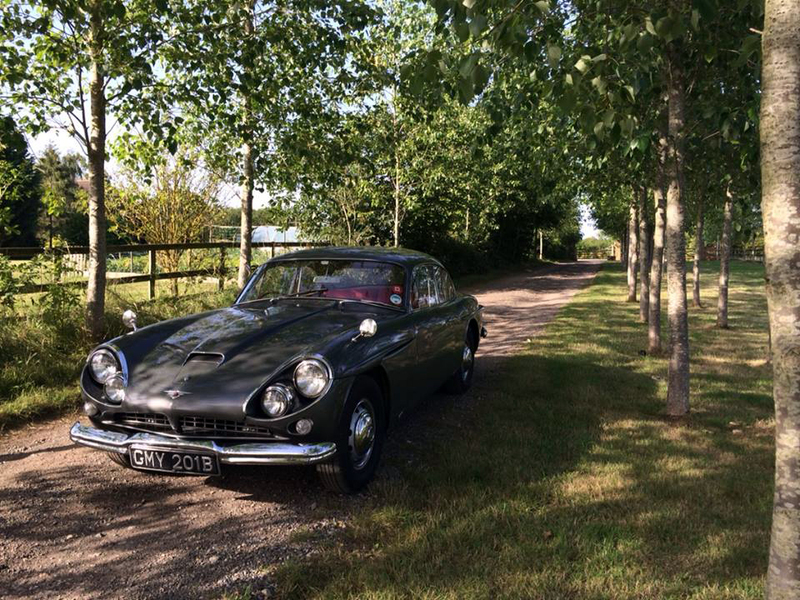 If you want to get in touch or discuss anything Jensen C-V8 Please go to the contact page. 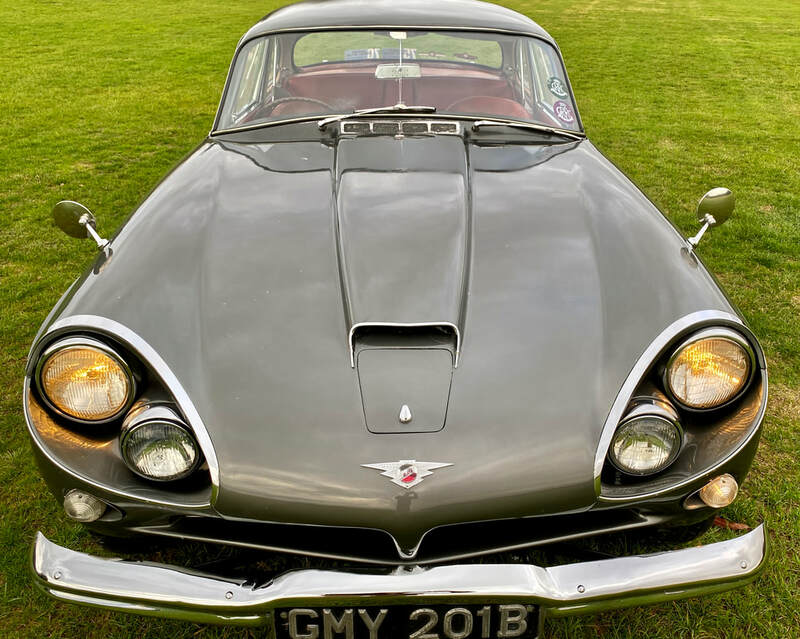 The Jensen Owners Club is a dynamic and thriving club for all things Jensen. 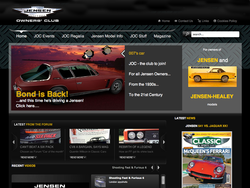 It has an amazing forum with endless friendly and technical advice to help you keep your Jensen running smooth. No one should attempt a restoration without being a member - Join now! The pictures below were taken on a day when we were trying to sort to a few leaks on the car. Transmission fluid, coolant and oil. Looks like it is sorted. The paint in the pictures make the car look a lot better than it is. Leaving the 75th Members meeting on the Saturday through the exit, the exit gate swung open (Wind???) and hit our Jensen. It must not have been secured back. We have written to Goodwood to see what they can do to resolve the problem. A C-V8 bumper is hard to come by and to fix the dent is not going to be a cheap or simple process. Really annoying incident and another example of the shambles that is Goodwood parking. I am pleased to report that Goodwood are paying for the repairs without quibble and have been charming about the whole affair. Cost of the repairs? £4161 + VAT. Video and pictures show our C-V8 on the way to REJEN in Winchester to be fixed up. Real shame this happened as we would not be doing any of this work now as the intention is a full restoration in the near future. So the rechromed bumper started cracking and the paintwork started cracking too. Rejen have said they will redo the work and we have agreed October 2018 to get it done. Shame to go to all that effort and the work not to stack up but hopefully they will get it sorted second time around? Good wood Member's Meeting 2018 - It was very cold. Back from Goodwood and the Torqflite gear column shift change packs up!!!! Needs investigation!! !